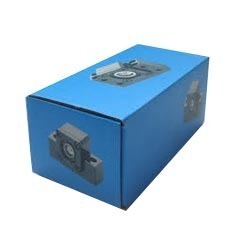 We have mastered an art of providing diversified range of boxes such as Printed Packaging Box. Price range: 20 - 300rs/piece. Prices are negotiable it depends on the quality and the requirement of the buyer. Many corrugated cardboard boxes and similar packaging are made with flexible corners, so that a box can be collapsed and used again and again before it is recycled. Not only consumers, but also cost-conscious companies, are actively reusing cardboard boxes. Reusing boxes saves money by reducing the number of boxes that must be purchased new. Reuse also reduces waste and therefore disposal costs. Corrugated packaging is energy-efficient to create. Because they are made with a high percentage of recycled materials, the amount of energy required to make corrugated packaging solutions is reduced. And because they are made from a locally available materials (tree pulp and air), the transportation costs associated with manufacturing corrugated packaging is also reduced. Corrugated packaging can be more efficient protection for your products. Avoiding the production of something in the first place is even better than recycling it. Innovative corrugated packaging designs, such as retail ready packaging (RRP), can eliminate extraneous materials while delivering equal or greater structural strength and product protection. For example, RRP designs frequently eliminate entire portions of traditional cardboard packaging, and can also allow for thinner package walls. SREE VISHNUSAI PACKAGING is working since 2001 as a Sole Proprietorship firm. We have situated our operational head in Tamil Nadu. Our company is indulged in manufacturing, supplying and trading wide assortment of Corrugated Box, Packaging Box, Carton Box, Corrugated Gift Box and many more.